The Australian website for publisher DK is currently giving an inside look into John Cork’s and Collin Stutz’s upcoming non-fiction book The James Bond Encyclopedia. 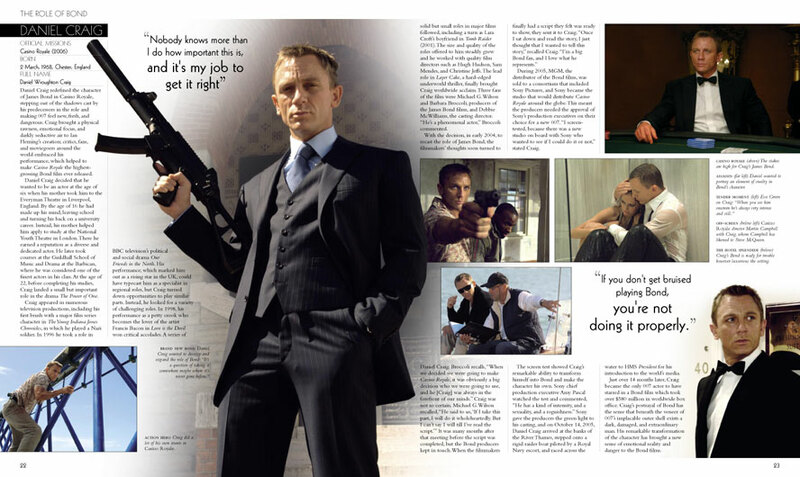 As previously reported, The James Bond Encyclopedia will cover all current 21 official films by EON Productions and will focus on everything in front of the camera rather than the behind the scenes aspects. The book is organized by “The Role of Bond”, Bond girls, Bond villains, etc and then alphabetized. To see a couple of the book’s pages go here.